The indie rock stars bring their infectiously groovy new songs to KeyArena. 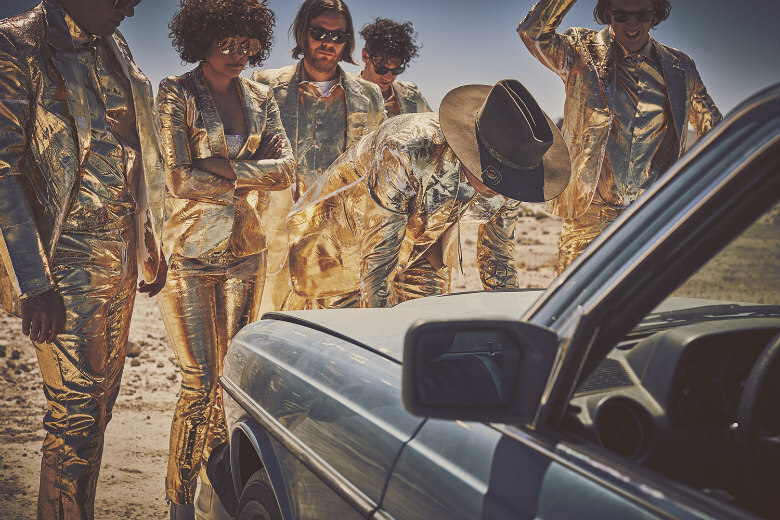 Arcade Fire's Infinite Content tour comes to KeyArena on Sunday. At times, it’s hard to believe this is the same band whose heart-stopping anthems occasionally required a box of tissues to get through. But as bassist/guitarist Tim Kingsbury tells it, the new sound didn’t exactly come out of nowhere. Since Arcade Fire’s inception, the danceable grooves have bubbled up during rehearsals, sometimes half-jokingly, but they came from an earnest place. Love it or hate it, credit the band for being comfortable enough in its own skin to take risks, even as “not my Arcade Fire!” cries reverberate across certain blog pages (Spin notably slammed Everything Now’s “Chemistry” as the band's worst song ever). But whether or not it fits the picture Funeral-era fans have of the Grammy-winning brooders, when it works it works. “Infinite Content,” seemingly a rebuke of consumer culture and how we inhale media in the digital age, is a dance-punk thigh-slapper that wouldn’t feel out of place during a set from Dan Deacon (Arcade Fire’s Reflektor tour mate). Meanwhile, the infectious “Put Your Money on Me” is a sly, ominously funky number with a Stranger Things synth line. The new songs ought to fare well on the band’s current tour, which hits KeyArena on Sunday, as the stage is set in the center of the arena, the crowd swarming around them. “Because the music is a little groovier, being in the middle of the room, it feels like we’re a part of the party a little more than at the end of the room playing to the people,” Kingsbury says. After the show, Arcade Fire multi-instrumentalist Will Butler hosts a "disco town hall" at Barboza that features dancing and conversations with local activists. Ironically, it wasn’t the dance-music titans Arcade Fire’s recently tapped as producers who pushed the band to embrace its body-moving urges. (Longtime friend of the band James Murphy produced Reflektor, while Daft Punk’s Thomas Bangalter worked on four songs on the new record.) The tracks the heavyweight producers most influenced were often the least dance-y, Kingsbury notes, pointing to Murphy’s hand in starry ballad “Awful Sound (Oh Eurydice)” and “Chemistry,” on which Bangalter pushed the Joan Jett crunch. Though it didn’t fit on the album, Arcade Fire hooked up with another big name while recording Everything Now in New Orleans, where leading couple Win Butler and Régine Chassagne now reside. In town for Jazz Fest, gospel queen Mavis Staples stopped by to record the moody “I Give You Power.” Though not explicitly about Donald Trump’s turbulent White House ascent, they chose to release it as an Inauguration Day single because “the song suddenly made sense in a different way” after the election, says Kingsbury. Between Arcade Fire tours, Kingsbury also found time to record a long-simmering solo record under the pseudonym Sam Patch (a name borrowed from an 1800s daredevil). Contrasted with Arcade Fire’s expansive arrangements, his solo work is a stripped-down mix of acoustic guitars and synthesizers, laced with harmonies between Kingsbury and Toronto singer-songwriter Basia Bulat. Without his Arcade Fire mates, Kingsbury was forced to be his own critic while working on his eight-song debut Yeah You, and I. He’d go to bed one night thinking he’d written has best song ever, only to hate it the next morning. Though he’s still working on more Sam Patch material, Kingsbury’s now back in Arcade Fire mode, with the band entering the home stretch of its Infinite Content world tour. A week after the Seattle show, Arcade Fire heads to Las Vegas to play the Mandalay Bay Events Center at the same hotel gunman Stephen Paddock was staying at when he opened fire on fans attending the Route 91 Harvest Festival from the balcony of his room. Sadly, it won’t be the first time this year the band his played a city shortly after a terrorist attack on music fans. Six weeks after the Manchester Arena bombing during an Ariana Grande concert, the group performed at the city’s Castlefield Bowl. He expects the Vegas gig to be similarly emotional. Indeed, if ever we needed a reason to dance, it’s now.